Start with this luxury cosmetic mirror. 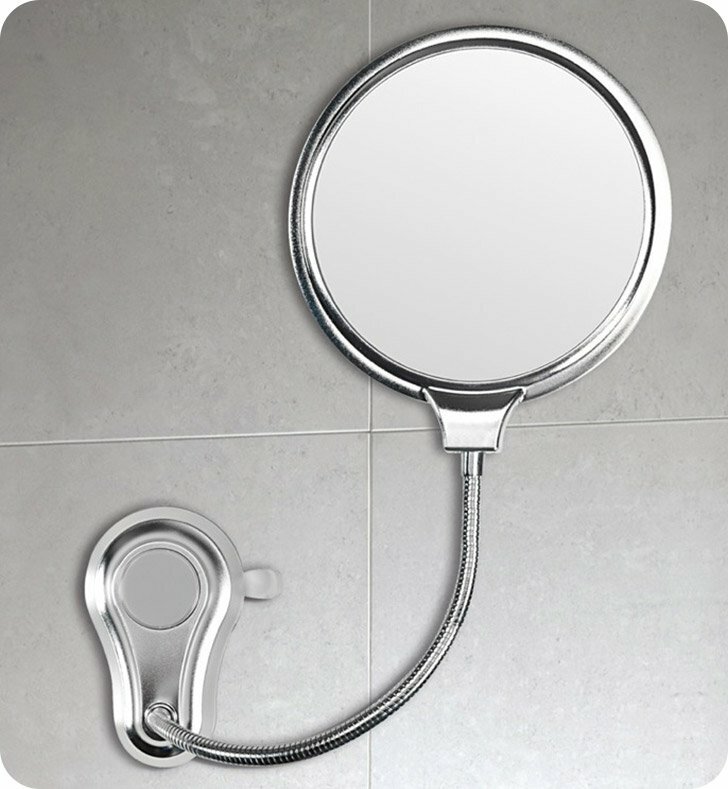 Suction cup mounted and available in chrome, this steel and thermoplastic resins makeup magnifying mirror will fit perfectly into a contemporary master bath. Designed and made by Gedy in Italy. From the Gedy Hot collection.